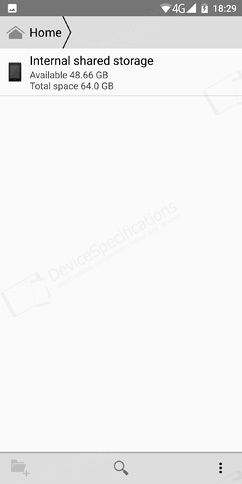 Oukitel K8 arrives with Android 8.0 Oreo right out of the box. 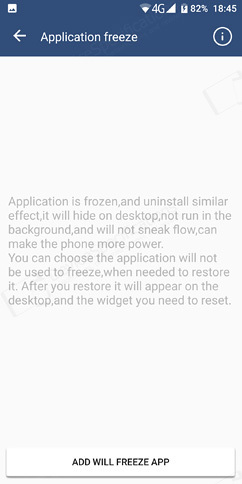 This is an almost vanilla version of the OS with some extended options that are usually found on Oukitel devices. 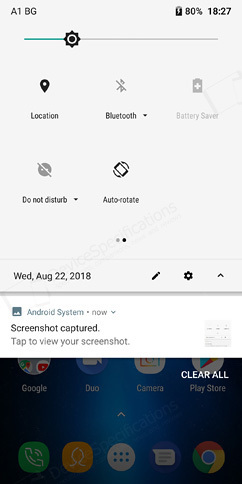 The UI is quite standard - the Lock screen features the stock Voice Search and Camera app shortcuts, a swipe up unlocks the device, the Home Screen contains the usual docked apps, Google apps folder and favourites plus a clock/date widget and the Google search one. 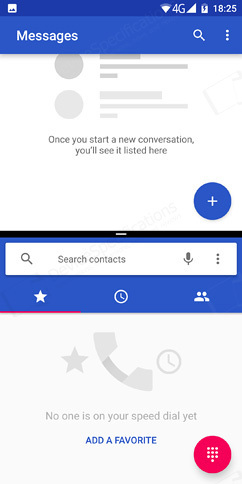 A tap on the App Tray opens the list of apps, which are ordered alphabetically on one page with an app search bar on the top. 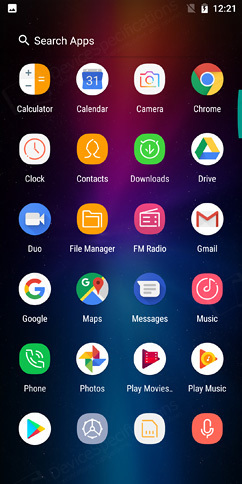 When you install new applications, they appear both in this main list and on desktops successive to the Home Screen. 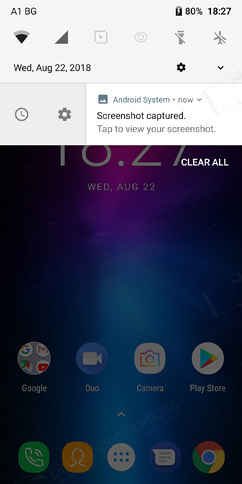 The Task Manager tiles the app windows vertically, supports split-screen mode and has a Clear All button that also performs Deep Clean after all apps are killed. 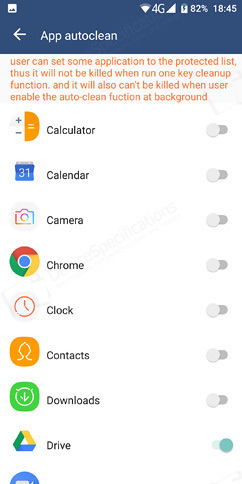 There's a second icon - the shortcut to the whitelist of apps, from where you can protect selected apps to be killed from the background. 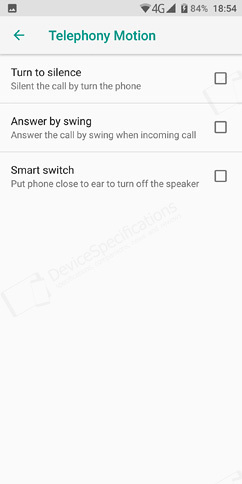 The device supports the very basic options for the desktop shortcuts. 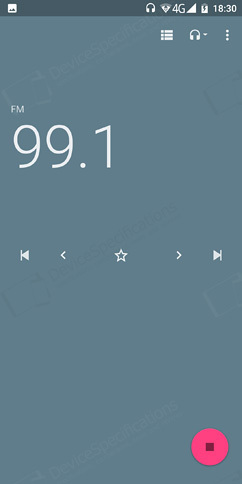 It also arrives with a very basic Widgets menu. 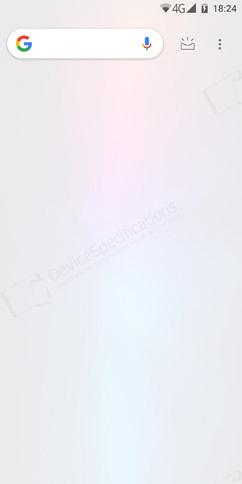 As usual, you can access it after a touch and hold on an empty space on any of the desktops. 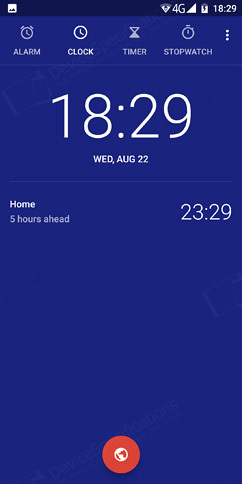 It offers a choice of wallpapers and widgets and some Home Screen settings. 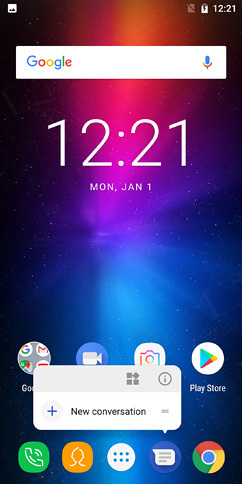 One of them is to switch on/off the Google App. 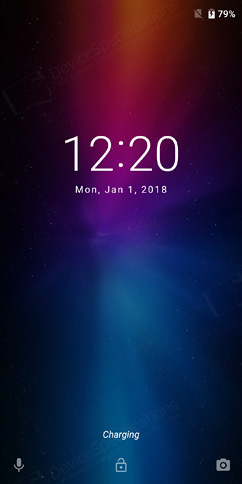 By default, it is on and can be accessed if you swipe right from the Home Screen. 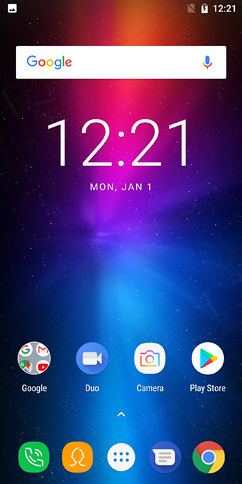 From its settings, you can also switch on/off notification dots and the option to add new app icons on the Home Screen. 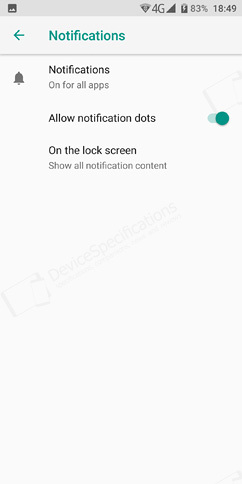 The Notifications and Quick Settings are in their default Android Oreo design and functionality. 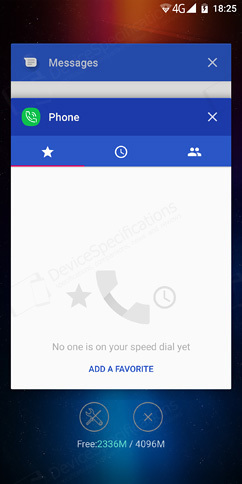 The notifications cards support all new features including snoozing and notification channels management. 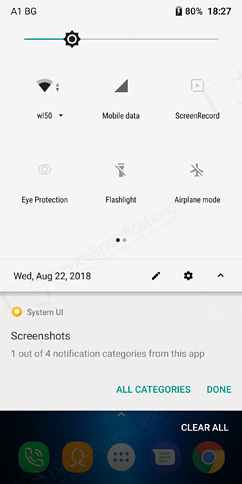 The Quick Settings list the brightness level bar first, followed by the toggles (six per page), the current date accompanied by the toggle editor and shortcut to the system settings. 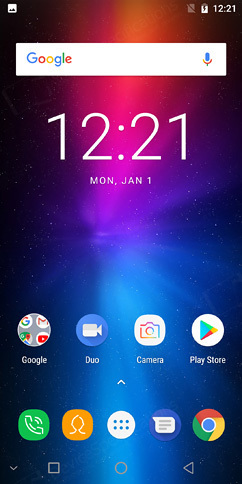 Just like all other Oukitel models, the K8 is free of bloatware. 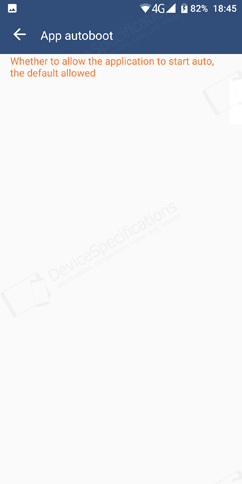 You get only the bare minimum of applications in their stock design and functionality. 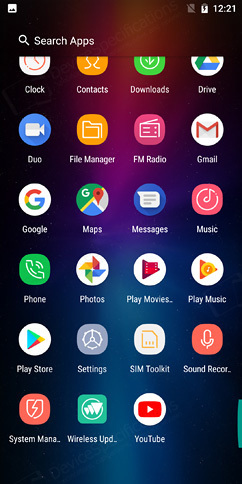 The usual list of Google apps includes the Calendar, Chrome, Drive, Duo, Gmail, Google App, Maps, Photos, Play Movies, Play Music, Play Store, Voice Search, YouTube. 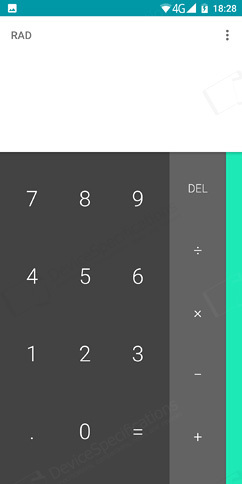 The default Android apps include Calculator, Camera, Clock, Contacts, File Manager, Downloads, FM Radio, Messenger, Music, Phone, Sound Recorder. 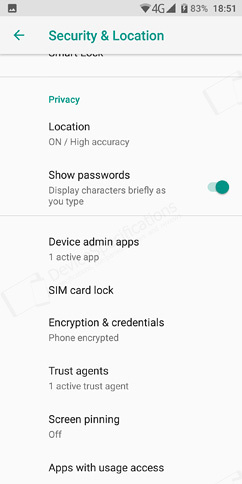 The Wireless update feature is placed as an app as well and there is one application that we haven't seen for a while - the System Manager. 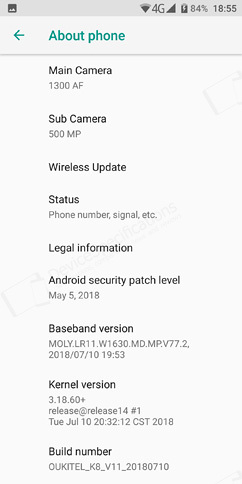 It was largely used by Oukitel on its Android 7.0 Nougat devices and is finally added on an Android 8.0 Oreo device. 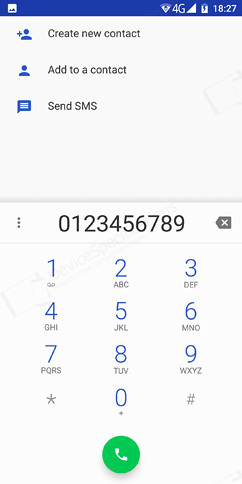 This application allows you to get the maximum of your device and gives you more control over certain processes. 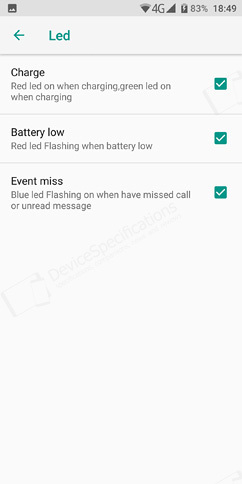 For example, the Power Manager allows you to get the maximum out of the battery (it will be discussed in the corresponding section of this review). 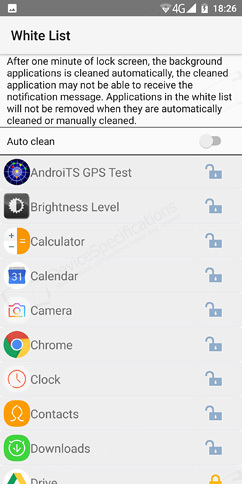 There's a rubbish cleaner that keeps your storage clean and tidy, a freezing room, which makes the apps added to it behave as if they are uninstalled, App autoboot list for apps that are allowed or not to autoboot, an App Lock for additional security of selected applications, and Auto clean, which is the same as the White List of the Task Manager - protects apps from being killed in the background. 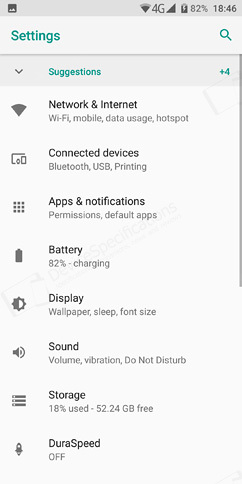 The Settings menu is traditional for Android Oreo devices. 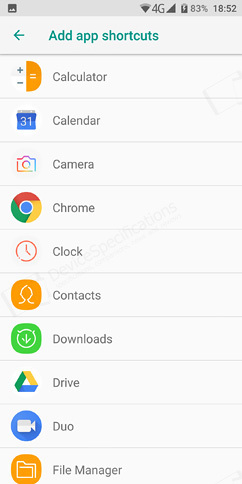 As usual, it begins with a list of suggestions and continues with the two menus that manage the various type of connectivities - Network & Internet (Wi-Fi connections, mobile networks, data usage, hotspot and tethering, SIM cards, mobile plans, VPN, airplane mode) and Connected devices (Bluetooth and USB connections plus Printing services). 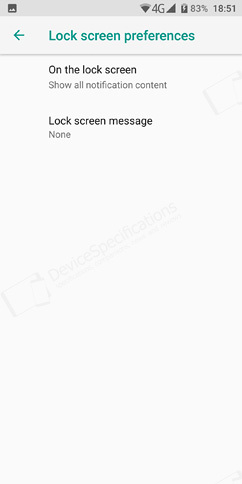 The Apps & Notifications menu comes third and manages the notifications, their appearance on the Lock Screen and the notification dots. 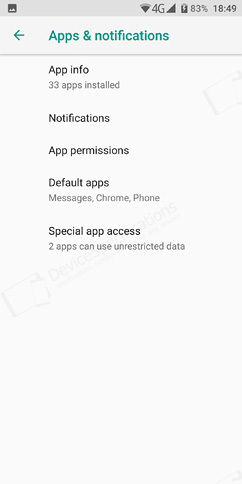 It also manages individually every app installed on the device in addition to their permissions, default rights and special access rights. 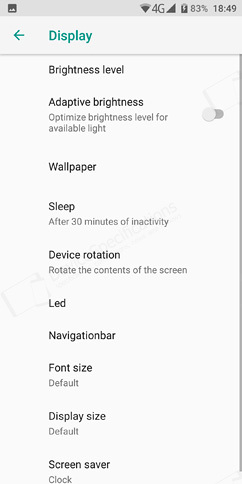 The Battery menu comes next and you can read more about it in the Battery section of this review. 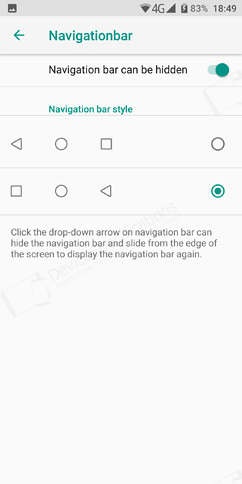 The Display menu follows containing the usual options for the brightness level, adaptive brightness, wallpapers, screen saver, font and display size, screen rotation, LED notification light and navigation bar options. 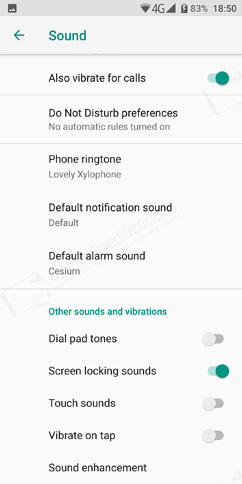 The sixth menu is the Sound one and is as standard as possible containing the three types of volume bars, a choice for default and additional ringtones and sounds, DND mode, sound enhancement for the speaker. 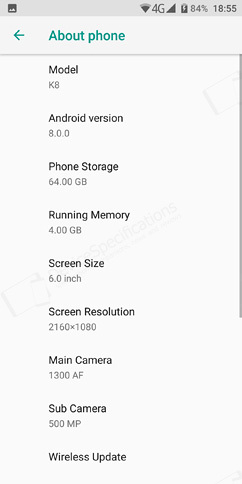 The Storage menu comes seventh and includes one of Oreo's new features - memory cleaner. 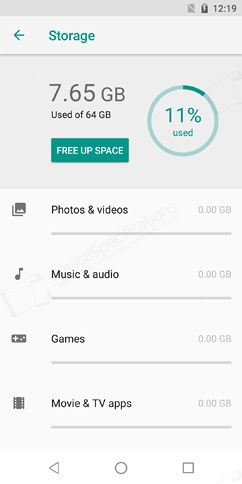 No storage manager. 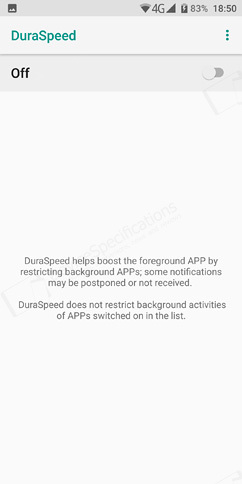 The DuraSpeed feature is provided as a separate menu. 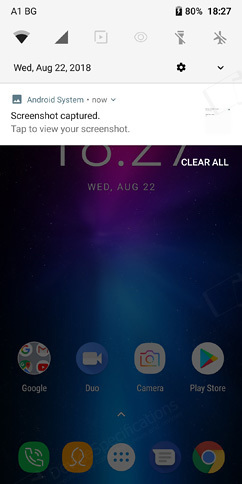 By default, it is off. 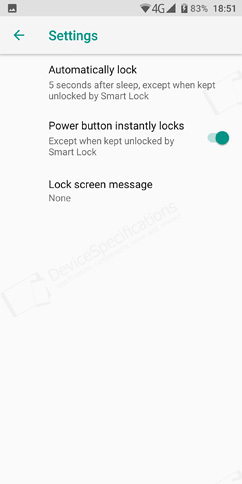 If you switch it on, the device will automatically give priority to foreground apps by restricting the ones on the background, including some notifications. 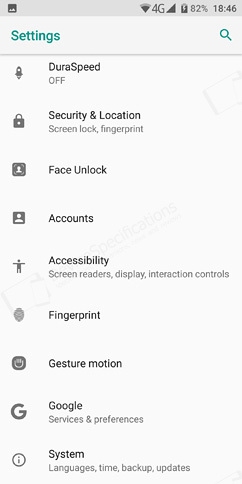 Security & Location is the tenth menu and arrives in its more compact and logical structure typical for Oreo. 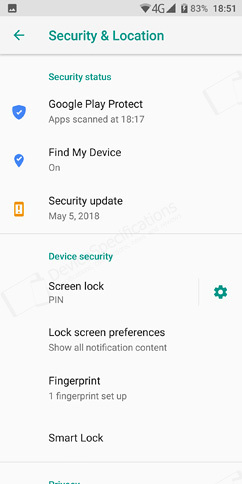 Starting with the usual Google Play Protect (something like a virus scanner), Find My Device (former Android Device Manager), and Security update (checking whether the latest security patches are installed), it continues with Lock Screen settings, screen lock settings, fingerprint management, smart lock, privacy and app security. 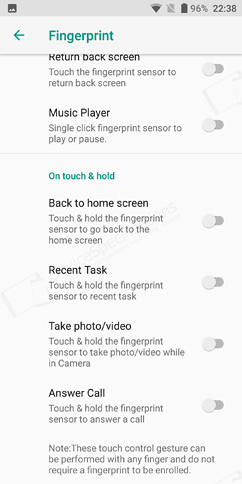 The Fingerprint sub-menu is the most interesting one as it offers an enhanced set of options. 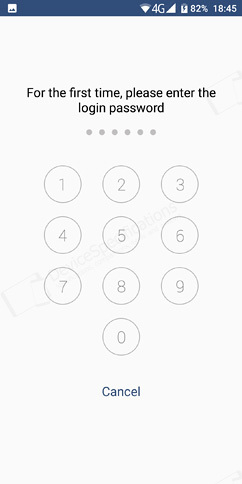 It can be used not only for unlocking the smartphone, but also for the App Lock and for quick launch shortcuts. 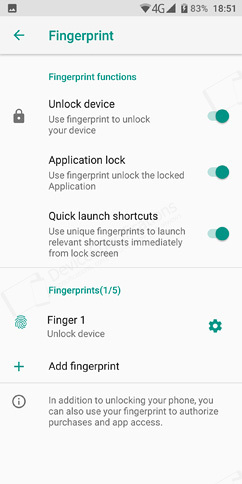 The latter means that you can assign a unique fingerprint ID to an app, which you can directly load by tapping on the sensor even if the screen is locked. 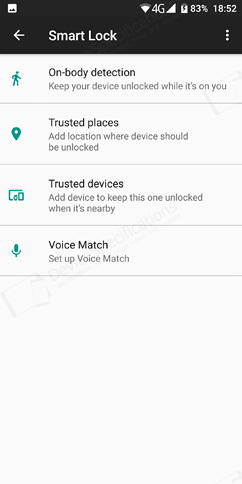 The Face Unlock menu follows the Security one. 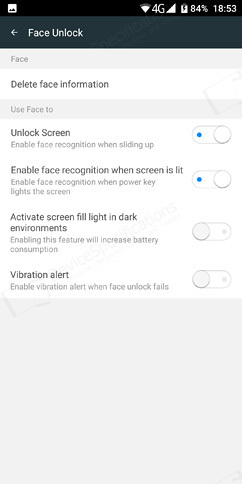 It allows you to store and delete a face ID and select from four options associated to it - unlocking, face recognition when the screen is lit, vibration alert when the face unlock fails, and activate screen fill light in dark environments. 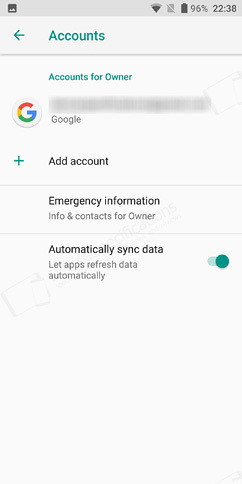 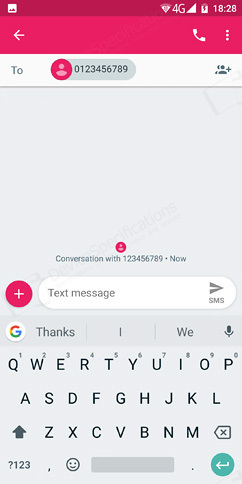 This menu is followed by the Accounts when for managing your Google account and any other accounts you might have plus emergency information and data synchronization. 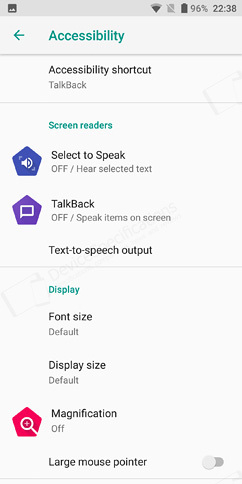 The Accessibility menu comes next containing all usual features for accessibility shortcuts, screen readers, easy viewing options, interaction controls, audio and on-screen text. 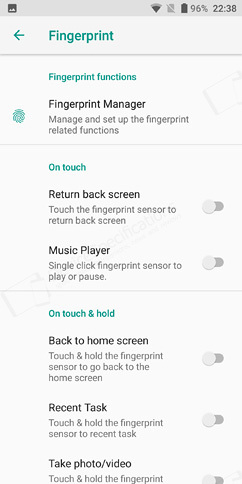 Another Fingerprint menu appears after the Accessibility one. 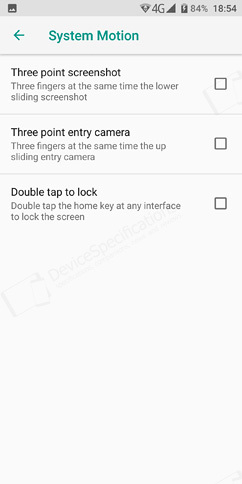 This time it is not about security but mear interaction with the sensor even if you haven't set up fingerprint ID(s). 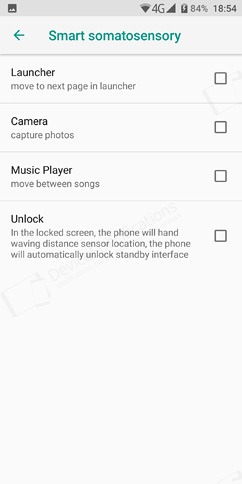 Hence, you can set what a touch and/or a touch and hold on the sensor will do. 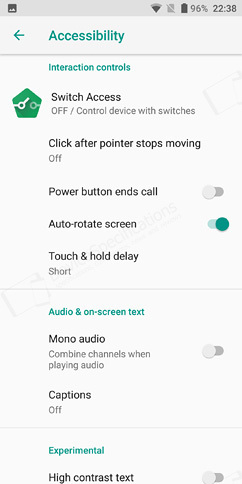 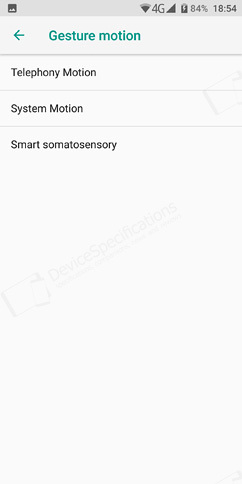 The Gesture Motion menu is something we've regularly seen on Android 7.0 Oreo and has evidently found its way on this Android Oreo device. 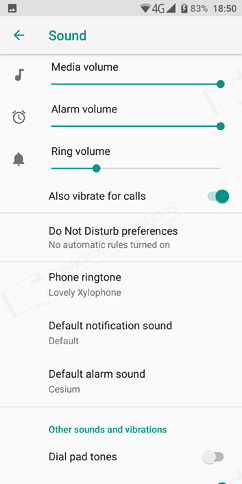 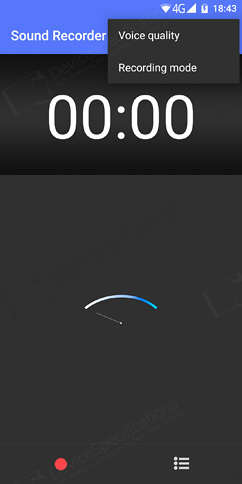 It contains the standard options: Telephony Motion (turn to silence, answer a call by a swing, smart switch between the speaker and earpiece during calls), System Motion (three-finger screenshot, three-finger gesture to open the camera, double tap to lock), and Smart Somatosensory (unlock by the wave of the hand, navigating through files in the Music app, release shutter button in the Camera app, move to the next page in the Launcher). 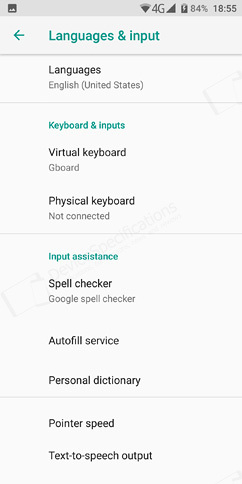 The last but one menu is the Google one and System closes the list of settings. 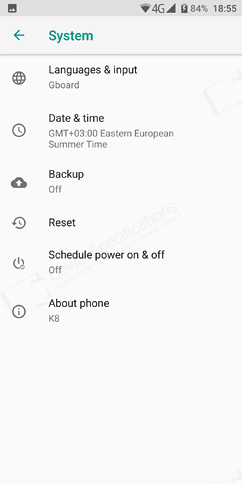 Under System, you will find Backup and Reset options, Date and Time, Schedule power on and off, About phone and of course - the Languages and input settings with a choice of languages, keyboards, autofill service, spell checker, etc. 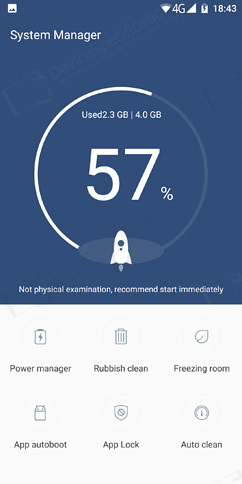 The current software review is based on the latest versions of the OS and apps on board.